Spoiler alert: Hailey Kinsel wins. Hailey Kinsel & Sister. Photo courtesy of RidePass. The Stampede Rodeo is popular among cowboys and cowgirls for many reasons, which means the competition is fierce year after year. 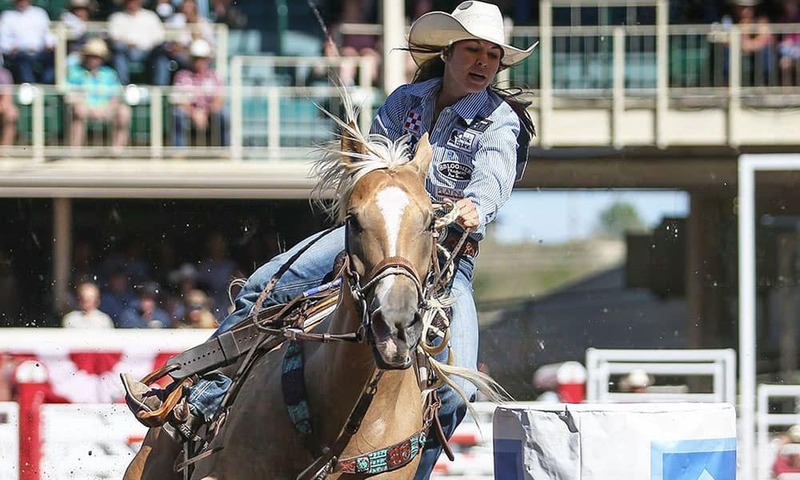 The 2018 Stampede Rodeo did not disappoint, and the best of the best went head to head in Calgary. At the end of the 10 day long rodeo, these six athletes won big…$100,000 per person to be exact! Without further ado, here’s your Stampede Rodeo winners. This iconic rodeo may be over, but Cheyenne Frontier Days is just getting started! Who do you think will win it all in Cheyenne this year?